Help, how to topics > Track circulations, manage loans > How to email overdue notices?. 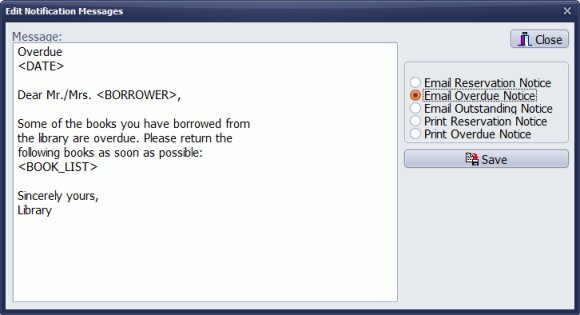 Handy Library lets you print or send by email overdue notices, outstanding notices, or reservation notices. This topic explains how to email overdue notices. 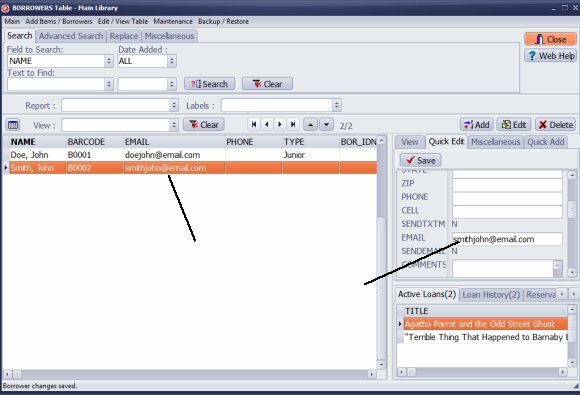 Before you start using Handy Email feature you have to type in some parameters (1). There are predefined notification messages: overdue notice, outstanding notice, reservation notice. To review or modify templates click Edit Notification Messages (2). Select message type. Message is displayed in the Message box. 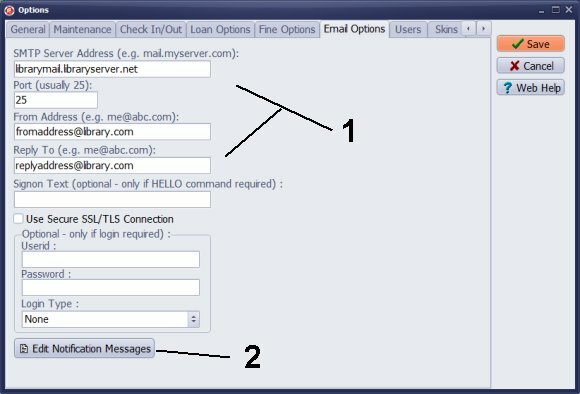 Modify the message and click Save to save changes. <BOOK_LIST> is replaced with book title and due date. Email notices will be sent only to library patrons with valid email addresses. Verify borrower database if all your library members have valid email addresses. Only overdue transactions are listed (2). 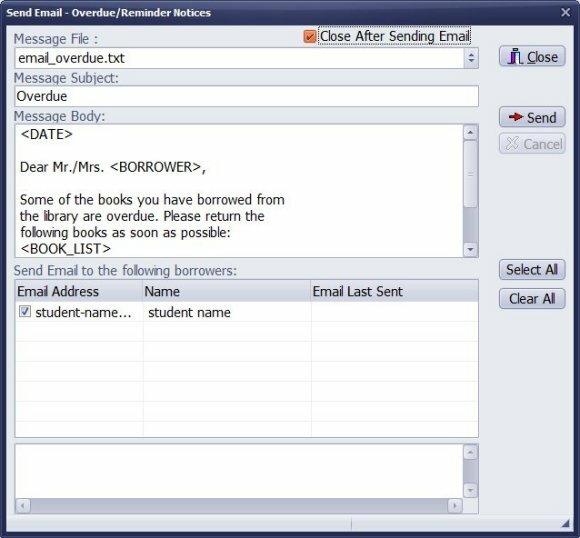 Click Send to send overdue messages to selected library members. 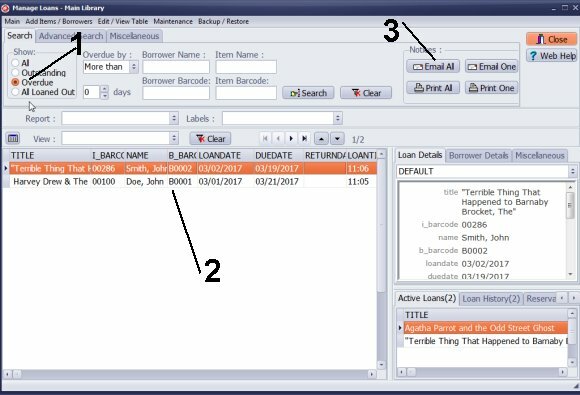 How to modify library overdue notice template, outstanding notice template, or reservation notice template. How to send email overdue notices? I see how the list of loans outstanding can be generated as a report. How can an email be generated to send the borrower a reminder that a book is overdue?